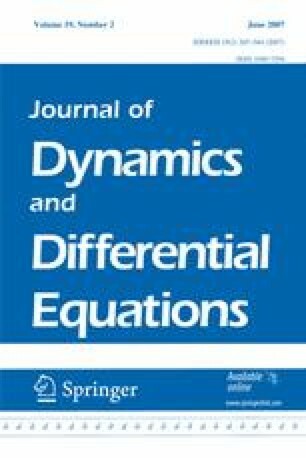 The paper is devoted to a rigorous construction of a parabolic system of partial differential equations which displays space–time chaotic behavior in its global attractor. The construction starts from a periodic array of identical copies of a temporally chaotic reaction-diffusion system (RDS) on a bounded domain with Dirichlet boundary conditions. We start with the case without coupling where space–time chaos, defined via embedding of multi- dimensional Bernoulli schemes, is easily obtained. We introduce small coupling by replacing the Dirichlet boundary conditions by strong absorption between the active islands. Using hyperbolicity and delicate PDE estimates we prove persistence of the embedded Bernoulli scheme. Furthermore we smoothen the nonlinearity and obtain a RDS which has polynomial interaction terms with space and time-periodic coefficients and which has a hyperbolic invariant set on which the dynamics displays spatio-temporal chaos. Finally we show that such a system can be embedded in a bigger system which is autonomous and homogeneous and still contains space–time chaos. Obviously, hyperbolicity is lost in this step. Research partially supported by the INTAS project Attractors for Equations of Mathematical Physics, by CRDF and by the Alexander von Humboldt–Stiftung.